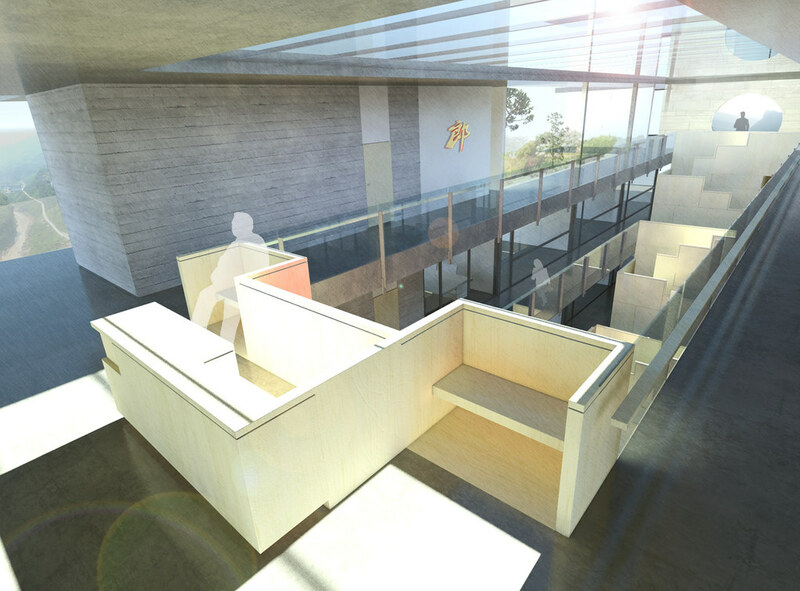 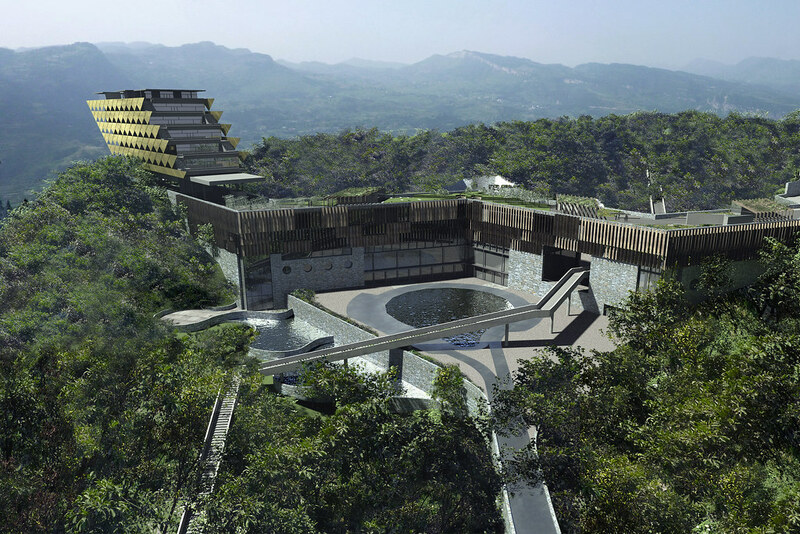 The practice was invited by the New Horizon Development Company from Chengdu to compete with two American practices for this major building on the site where Lang Jiu whisky distilled. 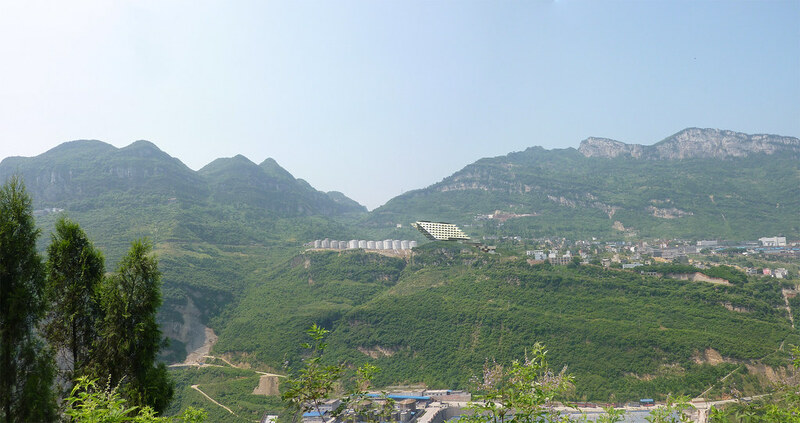 The site is spectacular sitting immediately above the stunning gorge of the Red River as it flows past the small town of Erlang in this relatively remote corner of Sechwan. 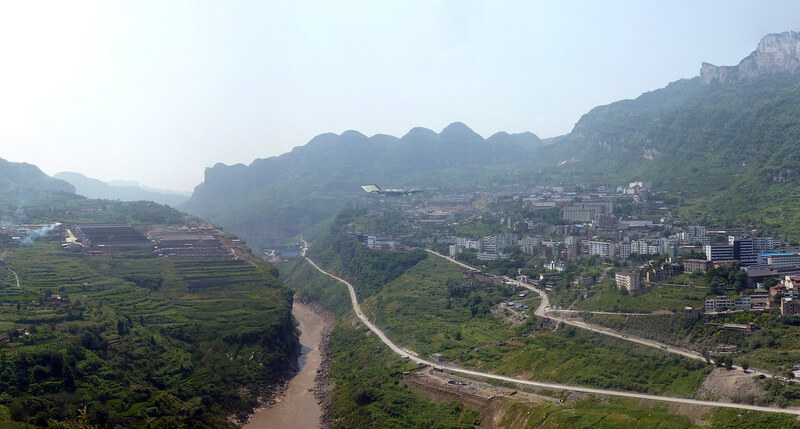 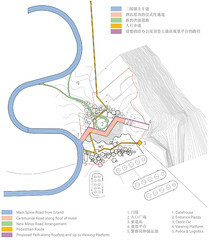 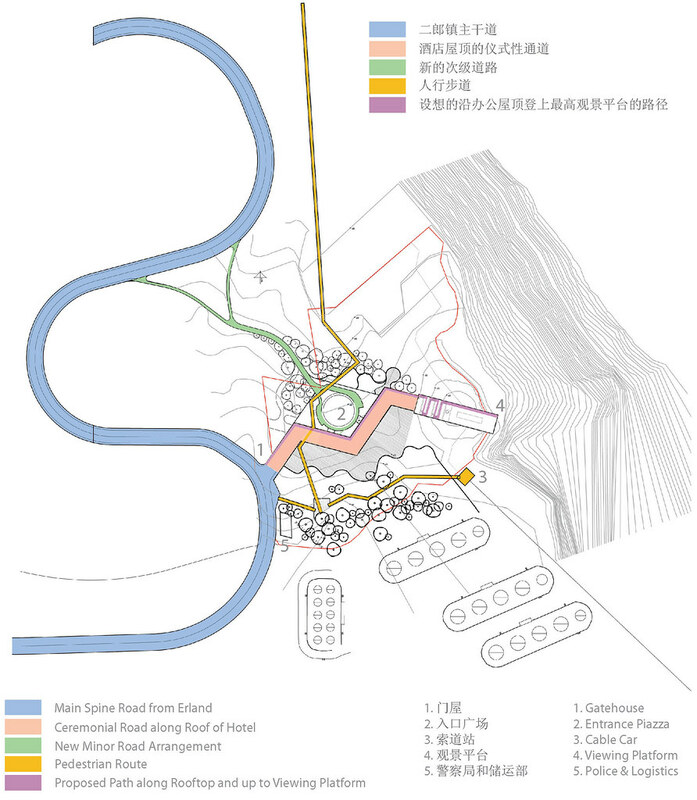 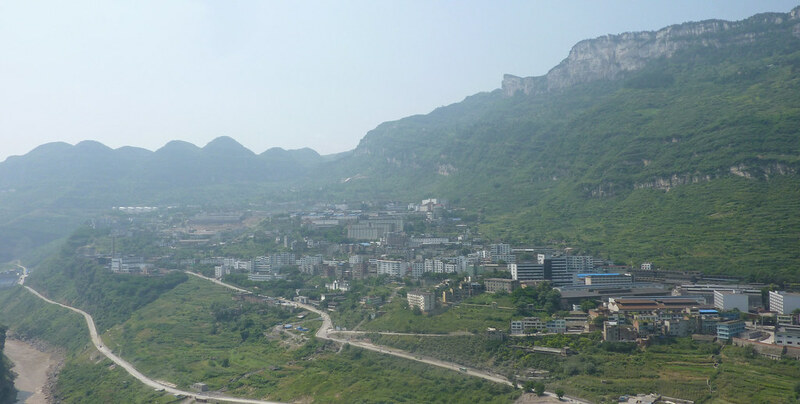 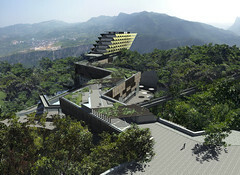 Our competition proposals, published here, (the design has since progressed after consultation with the client) show a single building inspired by the shape of traditional Chinese landscape bridges, connecting two parts of the topography and representing a route from the town towards the edge of the cliff. 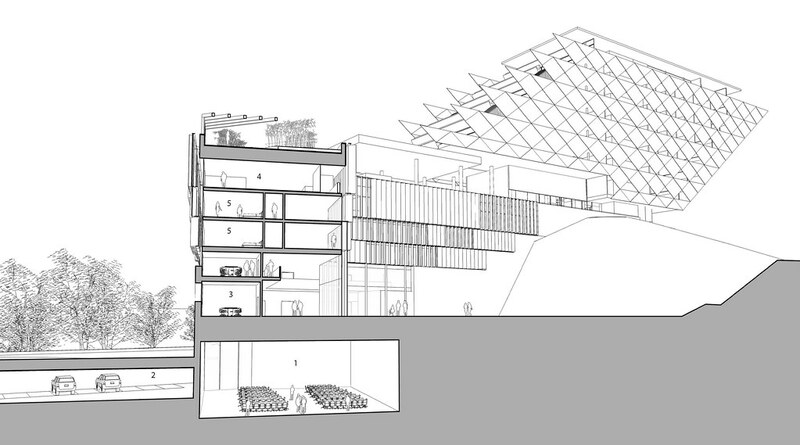 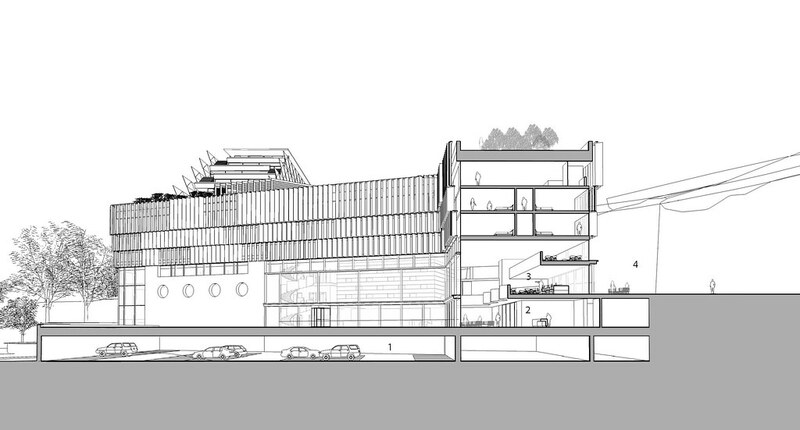 The roof of the building is therefore effectively at ground level and the hotel and conference centre are placed beneath it in the hollow in the topography. 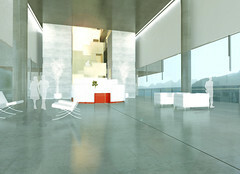 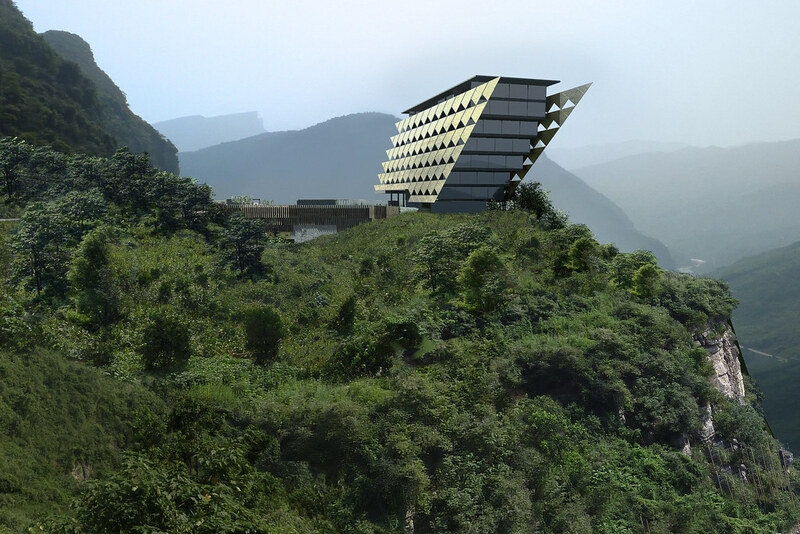 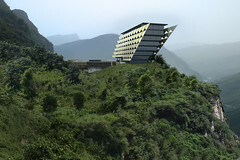 At the cliff destination, is a spectacular trapezoid shape corporate headquarters organised internally with a cascade staircase to the managing director's office at the top.